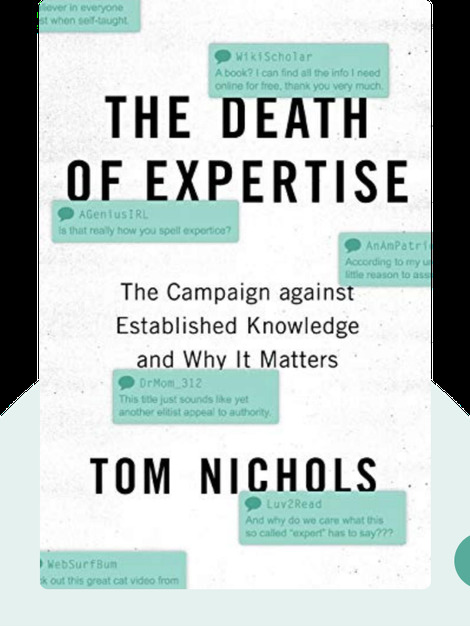 The Death of Expertise (2017) examines the current attacks on science and knowledge that seem to be on the rise in our current technological and political environment. What has happened to objective truths being the truth and facts being indisputable? Why is science now a matter of political partisanship? Find out what’s really going on and why this is one of the most important issues of our day. 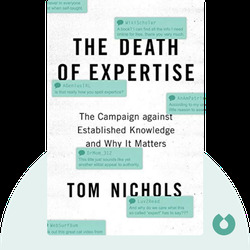 Tom Nichols is a Professor of National Security Affairs at the US Naval War College, as well as an adjunct professor at the Harvard Extension School. He is a respected authority on foreign policy issues and international security, and is the author of many books on these subjects including Eve of Destruction: The Coming Age of Preventive War and The Russian Presidency.